Finding Your Design: Giver – What song did God give you? Who owns it all? There is the question the Giver must answer…and the right answer, of course, is God. The Giver who stewards what God owns instead of seeking to find comfort in resources has much to offer the Kingdom of God. Resources simply flow to the Giver; learning to allow God access and control of those resources is the pinnacle for this gifting. A desire for control opens the door in the Giver’s life for the enemy. Sometimes that desire looks sweet: like providing for others. 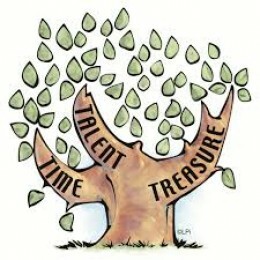 Digging to the root of immature finds that the gifts are actually meeting the givers need to be needed by others. Since only Christ meets any need fully, victory comes to the Giver when he/she releases resources to the control of God.